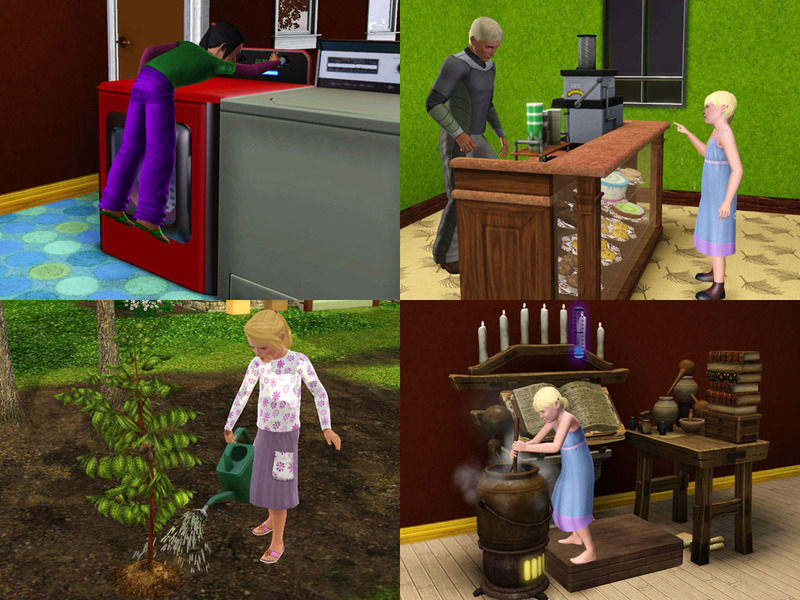 Children can gardening and take seeds, but cannot use "tend" command. Children can get mail and pay bills. If you want to be paid bills by children, you need to install get_mail for get bills from Mailbox. 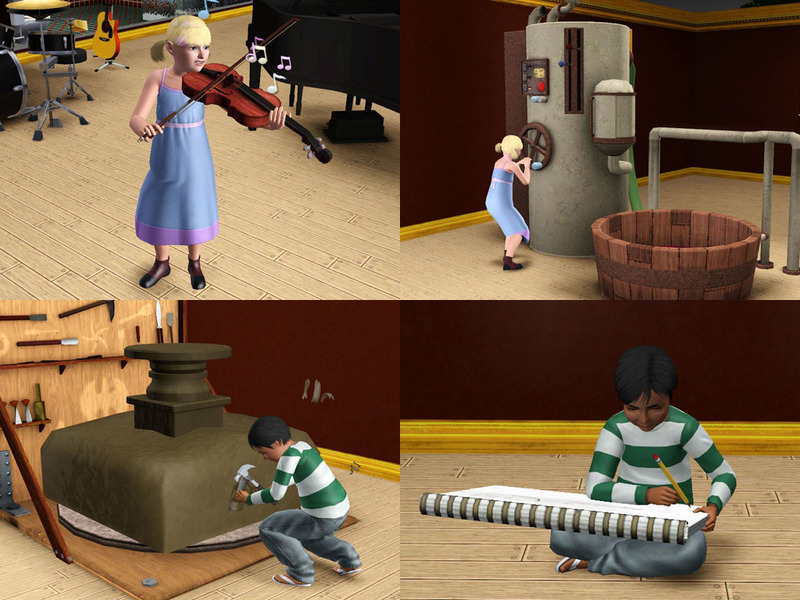 Children can make Elixir with Alchemy station in Supernatural. Children can perform music with Guitar, Drums, Piano and Keyboards. Base is too large for children, cannot play. Children can set fire to firepit and fireplaces. Children can buy at Register in WorldAdventures, Bar and Taco-stand Car in LateNight, Coffee Bar and Roentgen Register in UniversityLife. But they cannot buy any drinks. Children can use `Gem-U-Cut Machine` in Supernatural and `Carter's Display case` in WorldAdventures. Children can make nectar and use NectarRack, but cannot drink nectar. Children can sculpture at 'Pedestrian Sculpting Station' in Ambitions. Children can use sketchbook in UniversityLife, but cannot 'ask to sketch'. Children can play violin of store contents. - These mods are extra packages of 'No Stretch' series. Children can call services with telephone/smartphone. Children can read SkillBook (include photographic skill) and SheetMusic. Other settings (reading speed etc.) are defaults. 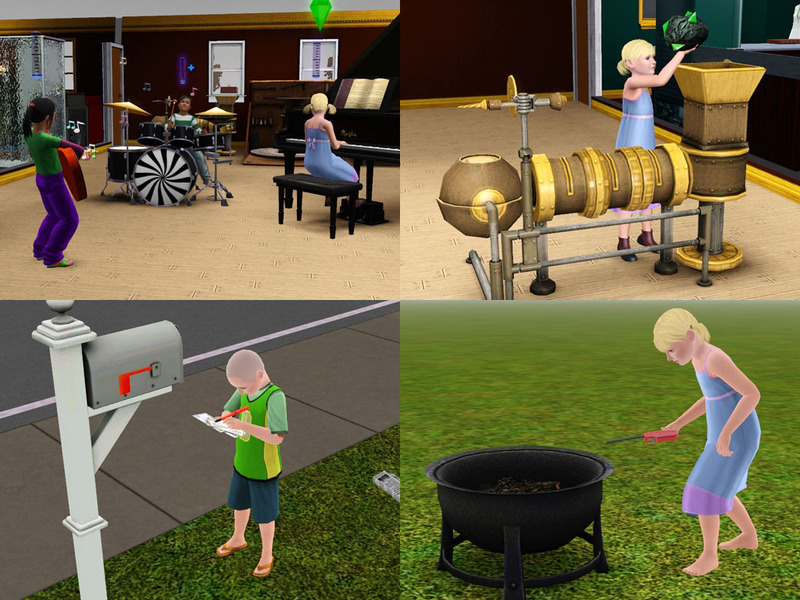 This mod displays some skills for other 'Children can Series'. 1416 people have said thanks to kapaer for this download.